Great footage in this film!! Some of these guys would easily be identified by those in the know? Good to see even then journalists were loose with the truth. ref. 'a flying fortress taxies in'...try B-25 Mitchell,ie,2 engines versus 4!. Maybe he's related to the reporter with the 6 engine Hercules! 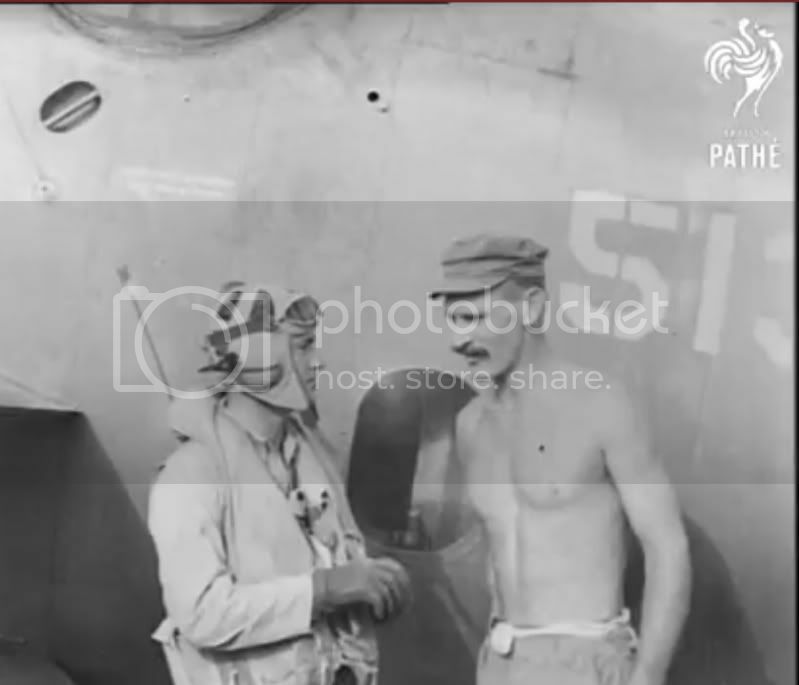 Did anyone note the Dauntless dive bombers that were peeling off to drop their bombs didn't seem to actually be carrying bombs? Yep. Do i get a prize? 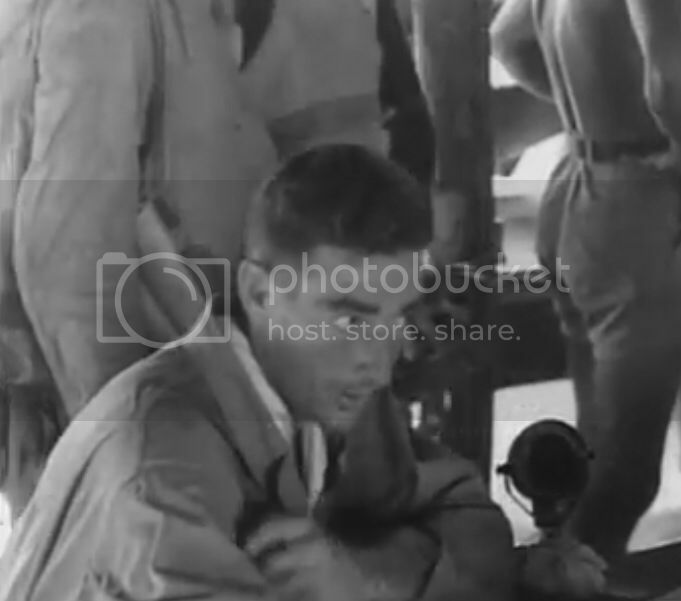 Anybody recognize the Bell P-39s in the early part of the film? Two of them flying over and banking - their outline is unmistakable, time of appearance on film - 3.09. 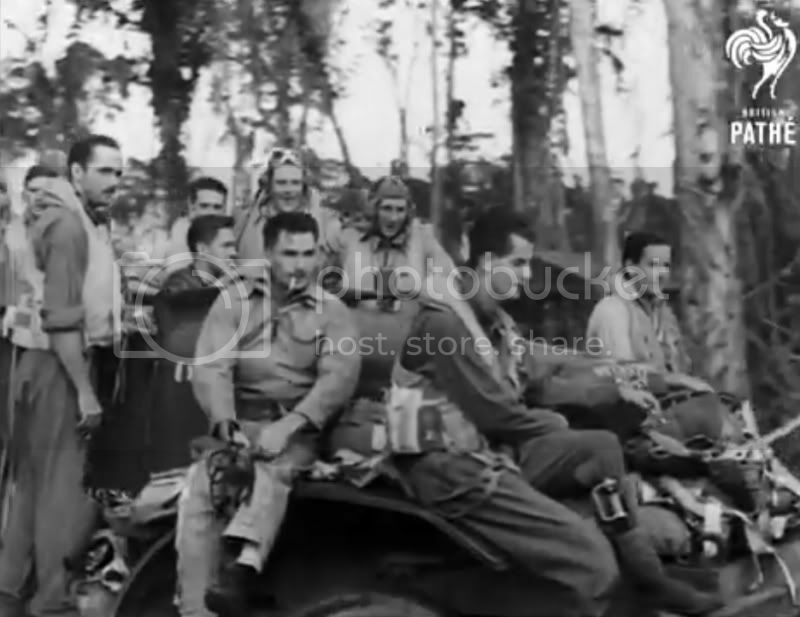 Also a view of two Black Cats at Piva Uncle, and as Dave H says, would be interesting to get identifications of some of the characters, as the film is pretty clear. Must have been taken about April/May 1944, judging by the P-40s with the very high code numbers (of 2 SU, although 4 SU a/c also present). The fighters were filmed at Torokina, and the TBFs and SBDs at Piva Uncle. 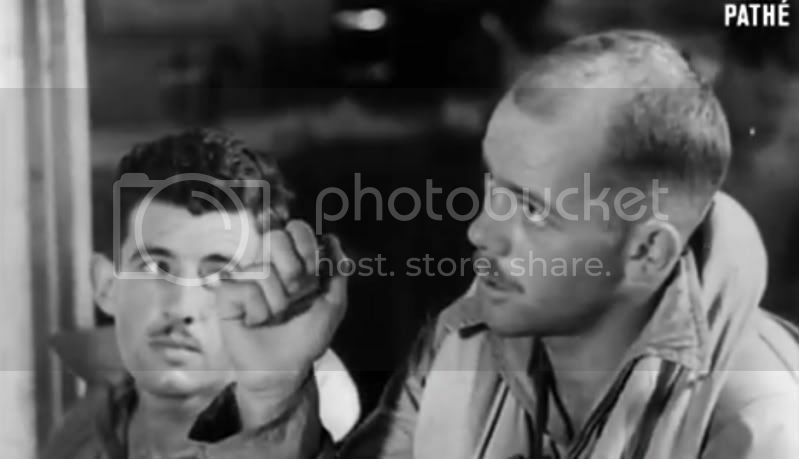 Had to laugh when the briefing officer early in the film has to halt in mid-stride as some roaring monster thunders down the runway not too far away, before proceeding with his briefing. 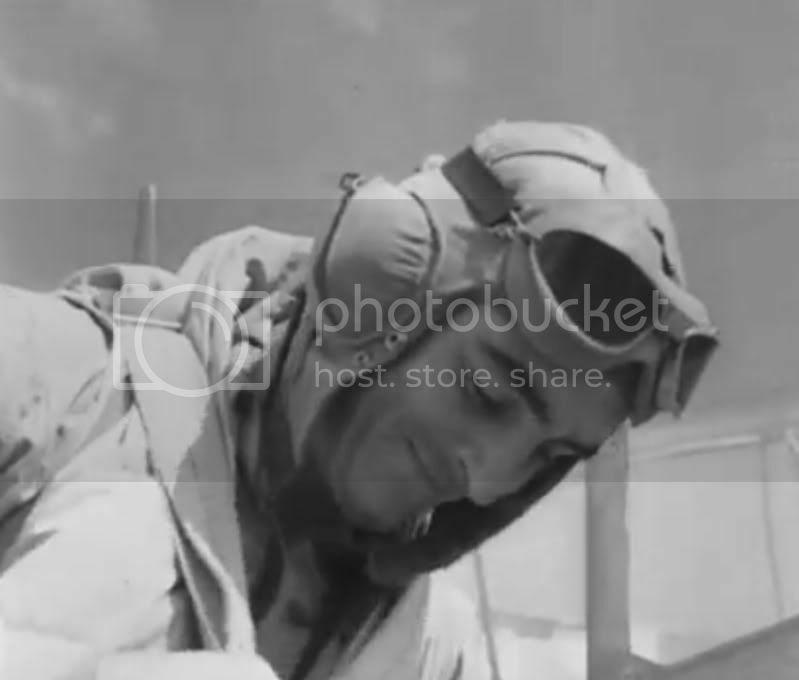 The unusual RNZAF KD tropical flying helmet can also be seen worn by some of the P-40 pilots (and one bod who gets out of a TBF) - you can see tufts of hair sticking through the cutaway holes on top. 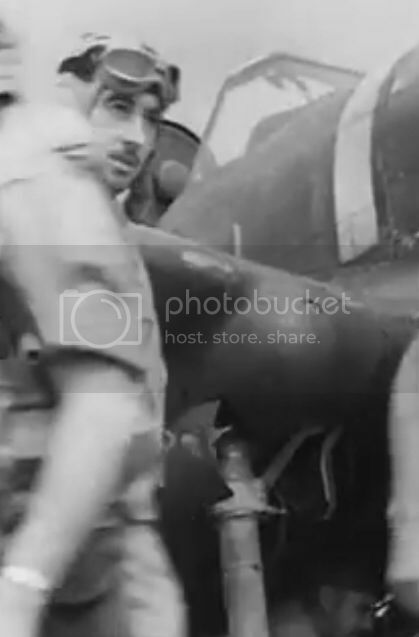 Also the group of (presume) 30 Sqdn TBF crews are wearing mainly US Navy helmets and mae wests, whereas the P-40 pilots mainly wear RAF and NZ items. Most likely the P-40 pilots were 16 Sqdn under S/L A G Sievers flying the 2 SU a/c until 12/5/44, and 17 Sqdn (22 April till 5th June, under S/L D F St George - he should be easy to spot in the film), flying 4 SU a/c. Yes one of the squadrons is No. 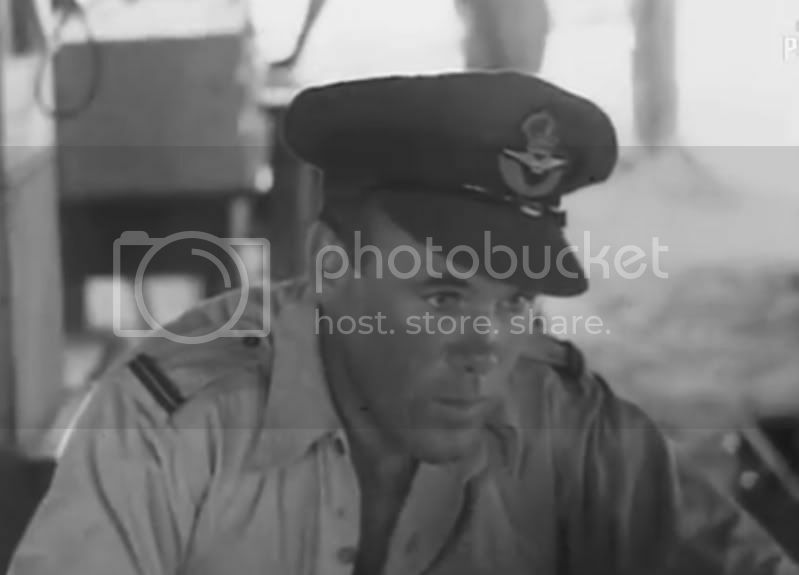 16 Squadron, Peter Rowley (of Billy T. James Show fame) recognised his own dad, Peter Rowley senior, in the film at 3:25 and 7:53 minutes. He was in No. 16 Squadron at that time. 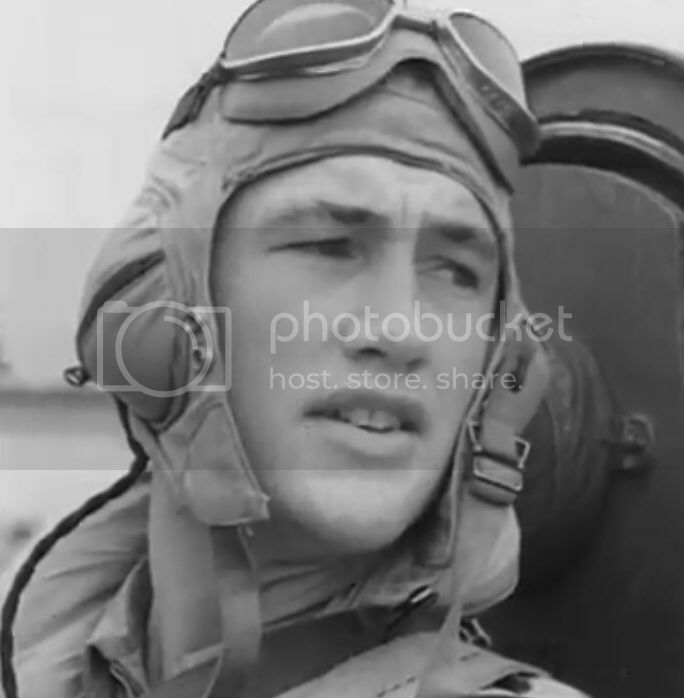 I should think that the Dauntless pilot in the one they refer to as the "reconnaissance plane" that takes off and lands next to the camera ship is probably Theo McLean de Lange as that was his aircraft. You're right about the Black Cats and P-39's sneaking in too. Such a cool film. 16 Squadron: Notes taken from the 'unofficial' squadron history of March 1944. S/L Allan Gerald SIEVERS, OC 16 Sqdn, & Red Section Leader (to FGS, Gisborne as staff pilot 13/6/44). 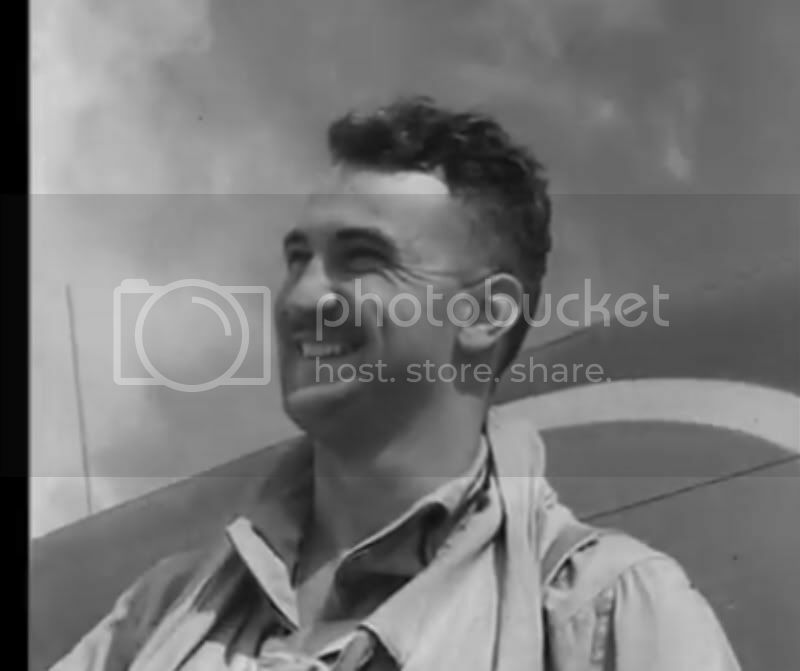 F/L Mervyn Charles Pryce JONES, OC 'A' Flight, & Blue Sect Ldr (to 4th tour as OC 12/6/44). F/L Allan Gabriel MITCHELL, OC 'B' Flight, & Green Sect Ldr (to 4th tour as F/Cmdr). P/O Ernest Charles LAURIE, DFM, Black Sect Ldr, Killed whilst test flying US Navy F4U @ Torokina 30/4/44. F/O Wallace Roy MANSILL, replacement Black Sect Ldr (to 17 Sqdn as F/Cmdr 3/7/44). F/O Keith Walter STARNES, White Sect Ldr (to 4th tour as F/Cmdr). F/Sgt David Keith MULLIGAN, Yellow Sect Ldr, to cse @ OSI Levin 19/6/44, to cse @ CFS Tauranga 3/7/44. 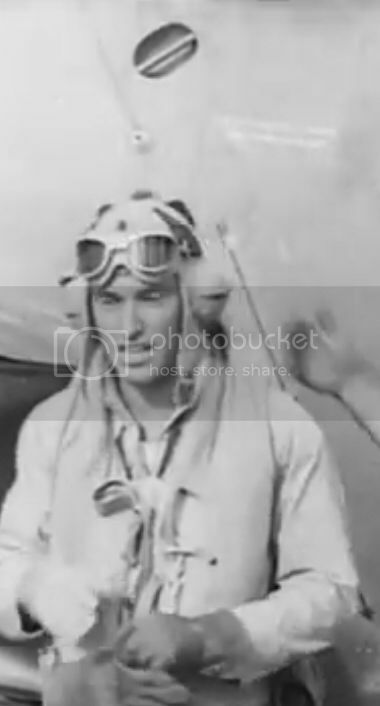 F/O Arthur Frederick TUCKER, shot down East Bougainville 5/4/44, rescued (to 4th tour). F/O Leslie Colin WOODHEAD (to 4th tour). P/O David William BARR, to 22 Sqdn 19/6/44. P/O Wilfred George NEWFIELD (to 4th tour), known as Bill. F/Sgt George Ian LUONI (ex 17 Sqdn), to GTS, Ohakea as staff pilot June 1944. F/Sgt Ernest Robert REYNOLDS (to 4th tour), known as Bob. Sgt Raymond Charles George DIXIE (to 4th tour). Sgt David William Coll ELLISON (to 4th tour). Sgt Peter Stuart FREYBERG, to 19 Sqdn 12/6/44. Sgt John Richard HOLLAND, to 22 Sqdn 29/6/44. Sgt William Wreford Lewis JARDINE, to 21 Sqdn June 1944 (killed on ops 15/9/44). Sgt Leo James LYONS, originally 'spare' pilot, later to Red 2 (to 4th tour). Sgt Owen John MARSHALL, to 22 Sqdn June 1944. Sgt Arthur Stewart MILLS, to 22 Sqdn June 1944 (to P/O w.e.f. 1/6/44). Sgt John Kennett ROGERS (to 4th tour). Sgt Edric Charles ROWE (to 4th tour). Sgt Peter Frederick Hodgson ROWLEY (to 4th tour). Sgt Phillips Stratton THOMPSON, to 22 Sqdn, June 1944. Of the above, only seven were on previous tour - Jones, Mitchell, Smith (IO), Starnes, Laurie, Mulligan and Mills. Only Mulligan had been on the first tour. F/Os P A Bull, E S D Burke and Sgt W J K Hart were three other pilots to have been on this tour, but all posted to other squadrons prior to departure. Of the above, Dixie, Ellison, Freyberg, Holland, Jardine, Lyons, Marshall, Rowe, Rowley, had trained at Woodbourne with Course 43B, Thompson likewise with Course 42B, and Newfield and Barr with 41B, Hart with 40B. Thirteen personnel (including the Intelligence officer) were brought forward from previous tour, and are marked below with an asterisk. New members included the new Commanding Officer, plus the following pilots who trained with Course 43B at No. 2 SFTS Woodbourne (graduated 22/1/44); P/O Kilner, Sgts Ashton, Battersby, Bruff, Bull, Dale, Loan, McDonald, Peterson. 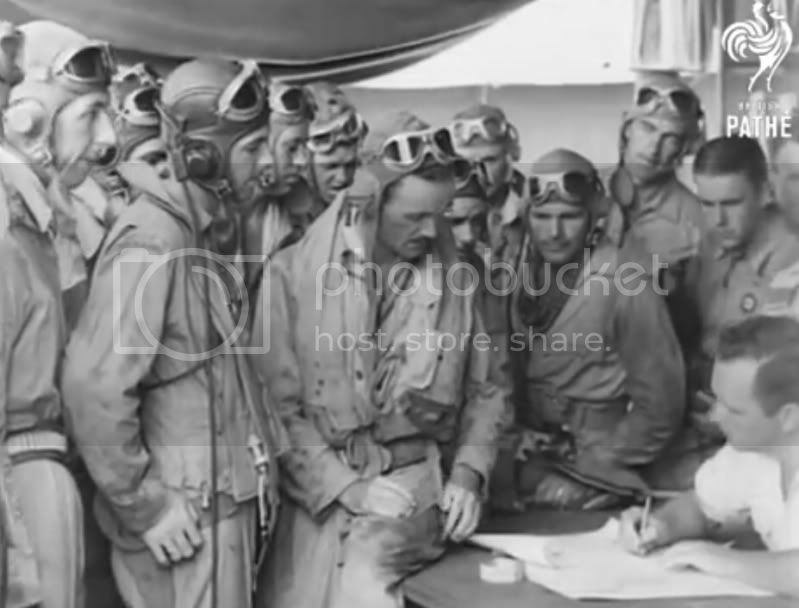 Trained with Course 41B at 2 SFTS (graduated 20/11/43) were Sgts Busch, Olson, and Wheeler (thus a total of 12 new pilots). In addition, F/O Broadbent and F/Sgt Ferrier were posted in to complete the squadron establishment of 27 pilots, although Broadbent did not arrive until 13/4/44 as replacement for Sgt Dale. Subsequent posting after tour also included. S/L Douglas Fitzclarence St GEORGE, OC 17 Sqdn (to 4th tour). *F/L John Henry MILLS, Flight Commander, “A” Flight; to FGS Ardmore 8/7/44 for Cse. 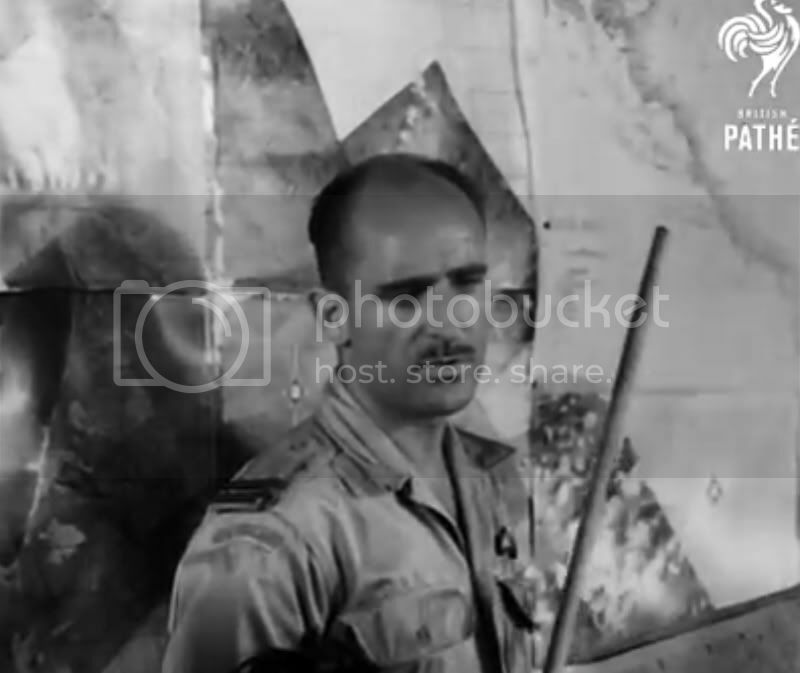 *F/L Robert James PRENTICE, Flight Commander, “B” Flight (to 4th tour). *P/O Harold Emanuel PRIEST, Intelligence Officer, 17 Sqdn (to 4th tour). *F/O Leslie Ernest BRADLEY, To CFS Tauranga as instructor 8/7/44. (F/O Stanley BROADBENT, arrived 13/4/44), Killed on air operations 7/5/44. *F/O Geoffrey Reid Burton HIGHET, DFC, to FGS Ardmore 8/7/44 for Cse. P/O Athol Eric KILNER (to 4th tour). *P/O Thomas Robin RABONE (to 4th tour). *P/O Donald Alfred WILLIAMS, to FGS Ardmore 8/7/44 for Cse. *W/O Bruce Allen McHARDIE, Killed on air operations 1/6/44. 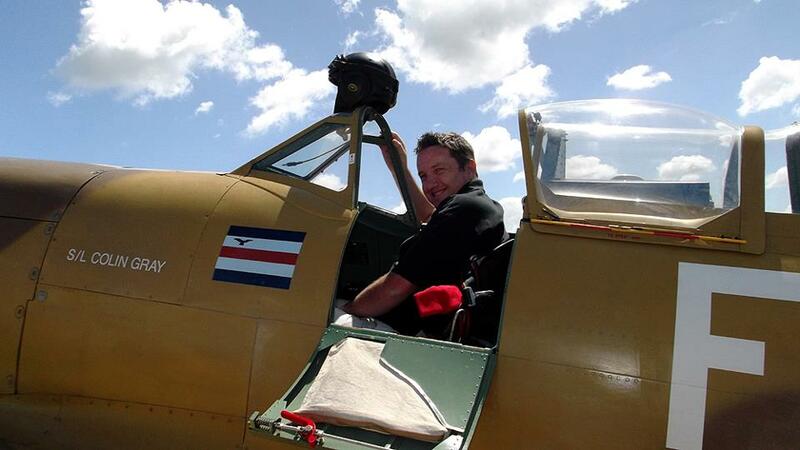 *F/Sgt John EDWARDS, to Station Ohakea as Staff Pilot. F/Sgt Francis Edward FERRIER, posted in ex 2 OTU, previously 14 Sqdn. (to 4th tour). *F/Sgt Keith Frederick OUTTRIM (to 4th tour). *F/Sgt Richard Basil ROBERTON, to CFS Tauranga for Cse 8/7/44, to 4 OTU Ohakea 31/7/44. *F/Sgt Ian Pringle SPEEDY, to Station Ohakea (GTS) as Staff Pilot 26/6/44. Sgt Richard John ASHTON, to No. 22 (F) Sqdn Ardmore 3/7/44. Sgt John Bryan BATTERSBY (to 4th tour). Sgt Terence Felix BRUFF, sent back to NZ for further training 23/4/44. Sgt Robert Hector BULL, to No. 22 (F) Sqdn Ardmore 3/7/44. 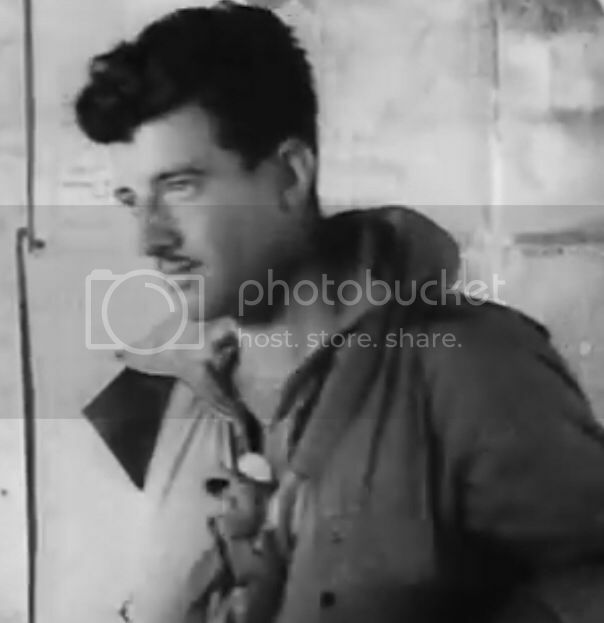 Sgt Kenneth William J BUSCH, Shot down southern B/Ville 20/5/44, rescued. Posted to No. 22 (F) Sqdn, Ardmore 11/7/44. Sgt Terence Crosbie DALE, sent back to NZ for further training -/4/44, replaced by F/O Broadbent. Sgt David Roderick LOAN, to No. 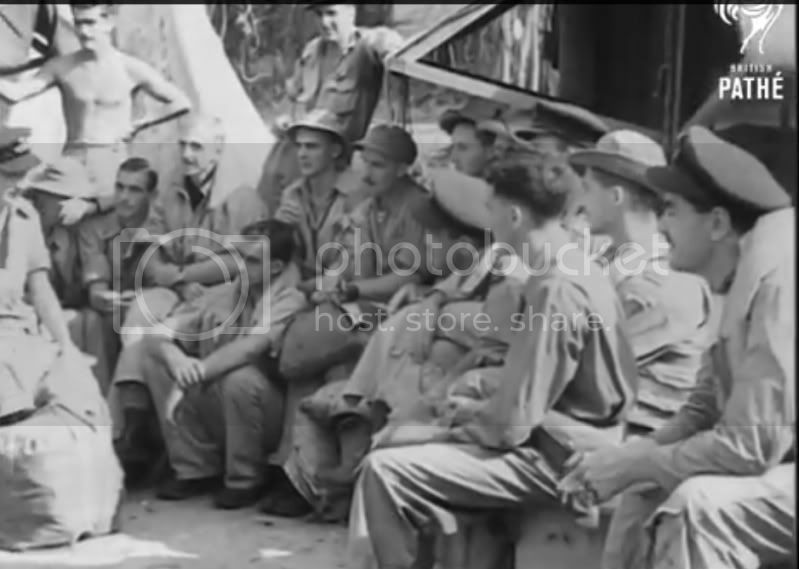 22 (F) Sqdn Ardmore 3/7/44. Sgt John Bagrie McDONALD (to 4th tour). Sgt Charles Courtney OLSON (to 4th tour). Sgt William Leo PETERSON (to 4th tour). *Sgt Frederick Arthur Lindsay SCAHILL (to 4th tour). Sgt Ralph Hudson WHEELER (to 4th tour). Many thanks for these details David. 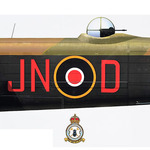 Dave - just a suggestion but maybe this should be a 'sticky' on the RNZAF WWII thread. What a find , some of the best air to air shots I have seen. Is there more like it in the archive ? Would love to see more in this series. Pretty sure this film is on a loop at the Auckland War Memorial Museum, in the WW2 Pacific display. I think it is one of 3 or 4 different films, shown as if one. 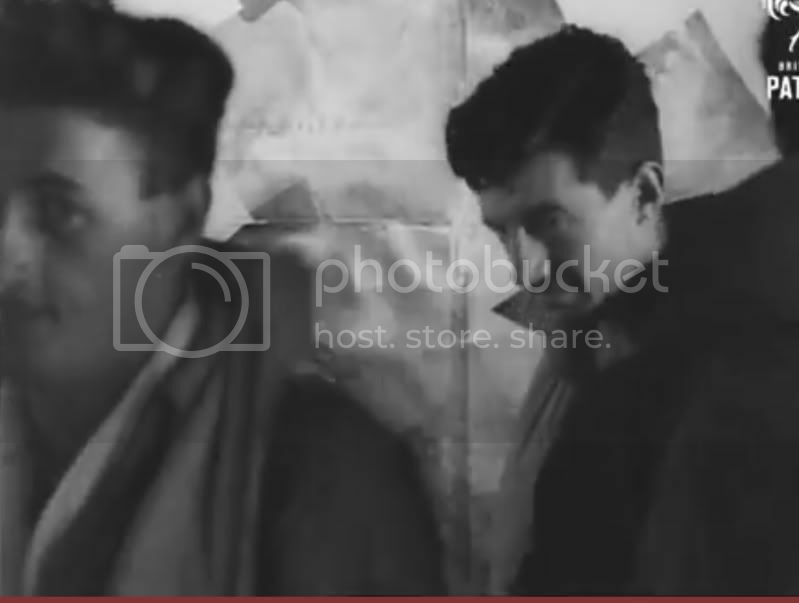 Great footage, I think my late father in law was here during the Second World War doing something to do with Radio's and the such like but I don't know for sure unless some one can help me with this. Let the forum know his name - I would almost stake my lotto ticket that someone will have the dirt. "Air to Air" by Chris Rudge has a photo of 17 Squadron pilots identified. Some of them are probably in this film.